Kenzi has everything she could ever wish for. A good job working for an advertising agency and the perfect fiancé. Even if she’s constantly runner-up in her family’s affections to her oh so perfect sister-in-law, things look pretty good. Then her ex-boyfriend, Shane walks into the advertising agency and she quickly discovers, the agency is having financial problems, her job is on the line, and they desperately need Shane’s business. She is ordered to do everything she can to secure the account, but she wasn’t expecting to be re-enacting scenes from her favorite romantic comedies. Love Like the Movies is great fun. It really does read like one of those great romantic comedies of the 1980s and ’90s. It’s a book that will leave you with a silly smile on your face and feeling good for days. I should note that some might shy away from this book because it’s about a love triangle. I know that’s a trigger issue for many readers of romance. It’s a trigger issue for me as well, so I’m going to go out on a limb and say I had no problems with this book at all. That aspect doesn’t really play into the story all that much and lovers of cute, quirky romances will love this book. Many thanks to Pocket Star and Netgalley for providing me with this ARC. 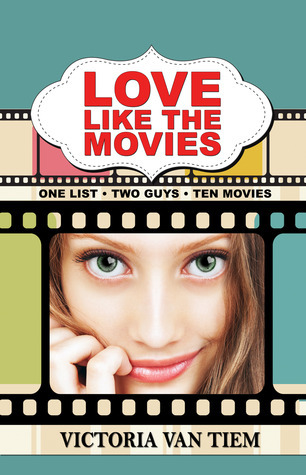 This entry was posted in Uncategorized and tagged contemporary romance, Love Like the Movies, pretty woman, romantic comedy, sleepless in seattle, Victoria Van Tiem by setaian. Bookmark the permalink.